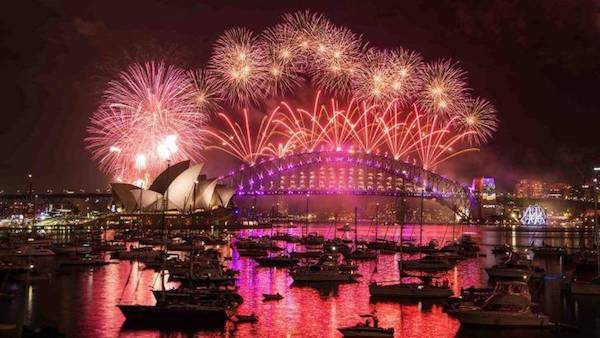 When you think of things to do on New Years Eve in Sydney, being on the water and watching the world famous fireworks show would have to be at the top of that list. For a New Years Eve cruise on Sydney Harbour Hamptons Sydney would have to take prime position as a New Years eve cruise option. Spanning two large and spacious decks, this 65-foot party pontoon was designed for New Years Eve cruises and events as big as this. The lower deck has an open plan with a bar on board serving a standard beverage package which is included in your New Years cruise ticket price. If you would like to purchase some premium wines, beers and spirits on board your New Years Eve cruise then that option is available to you as well. The lower deck has wrap around panoramic windows ensuring that you will not miss a beat of the action while on your New Years Eve cruise. Step up onto the top deck and you will be awed by the spectacle around you. 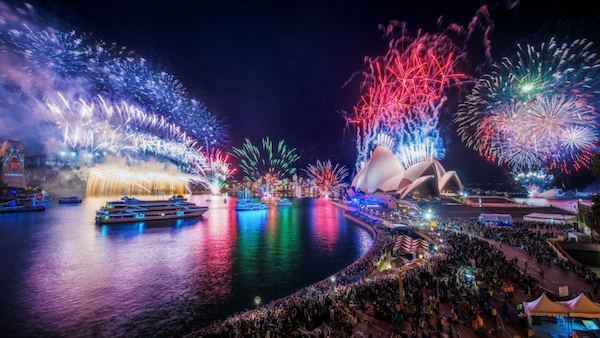 Your New Years Eve cruise on board Hamptons Sydney will leave you with some long lasting memories of a spectacular fireworks display, a great evening of entertainment and the thrill of seeing a million Sydney siders fill the Sydney Harbour foreshore. You will be the centre of attention on your New Years Eve cruise as you parade through Sydney Harbour. Also included in the ticket price of your New Years Eve cruise is a food package to suit the evening. On arrival to your New Years Eve cruise, you will be greeted with drinks and finger food including sushi and an antipasto platter. This is followed by cold canapes and a full buffet dinner. Your New Years Eve cruise is then topped off with a serving of dessert and cheeses. Enjoy Sydney's biggest party on Sydney's classiest party boat!! Please Note: All passengers must be over 18yrs.